Let me set the scene. Before January this year I had never once thought about visiting Athens on a European city break. 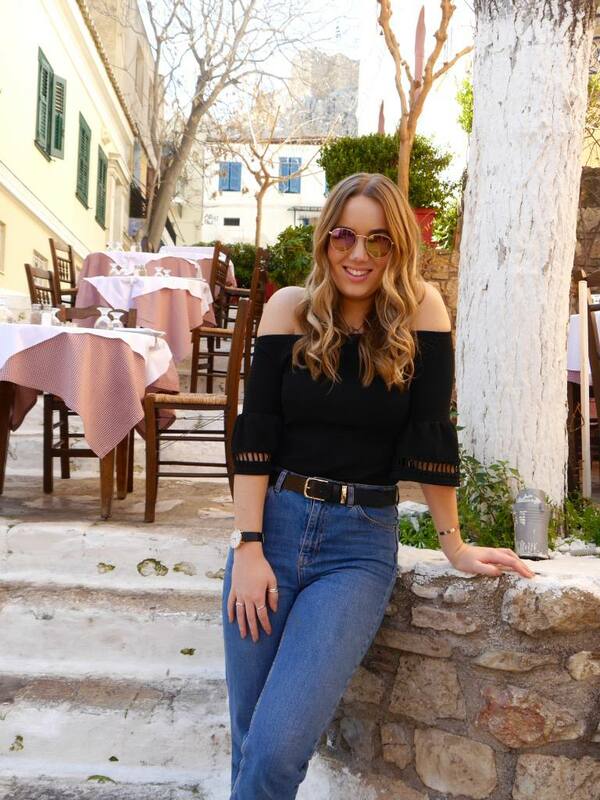 It hasn’t been a long-standing competitor of my bucket list, and beyond the famous Acropolis, I didn’t know much at all about the Greek capital city. Fast forward to March and it’s a whole different story. 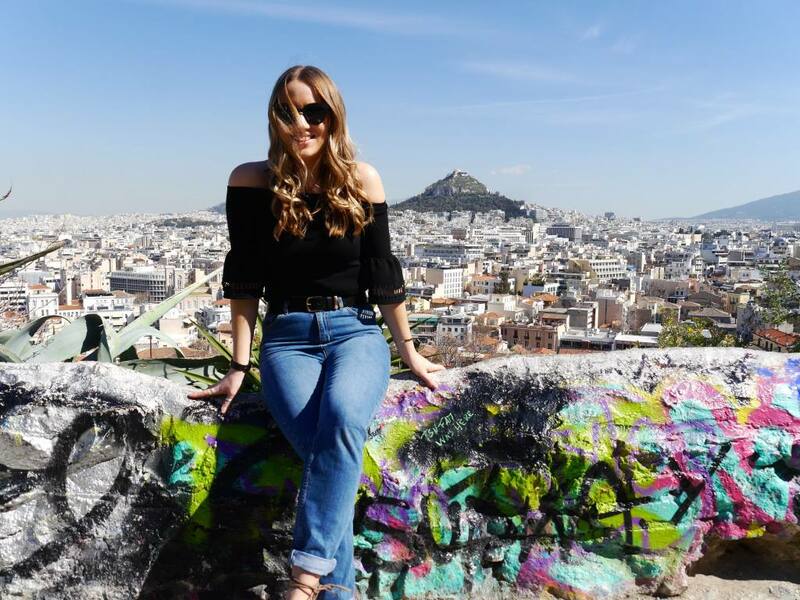 After a recommendation from a part-Greek friend, I decided to visit Athens for myself to check out the city she spoke so highly of – and guess what? The city exceeded every single one of my expectations. Here are 15 reasons to visit Athens. 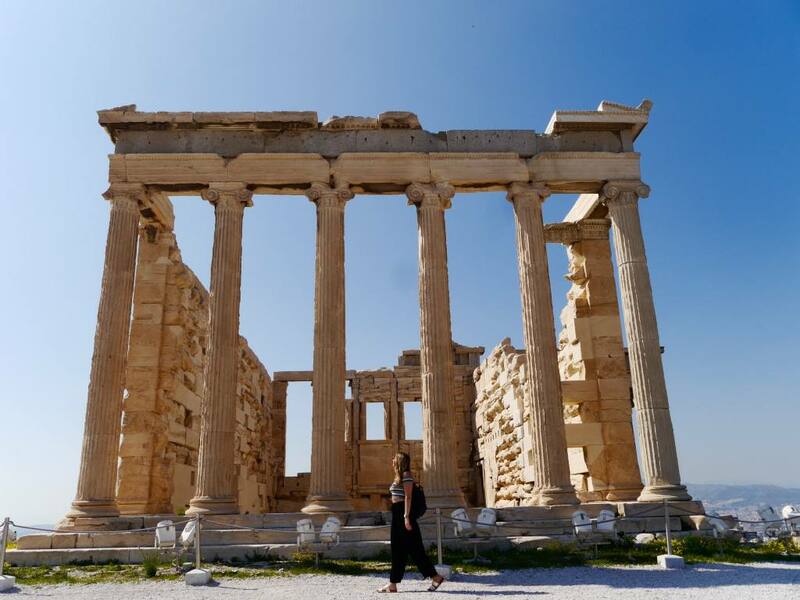 It would be a crime to start this list with anything other than The Acropolis of Athens; the rugged hilltop citadel, which dramatically towers above the city. 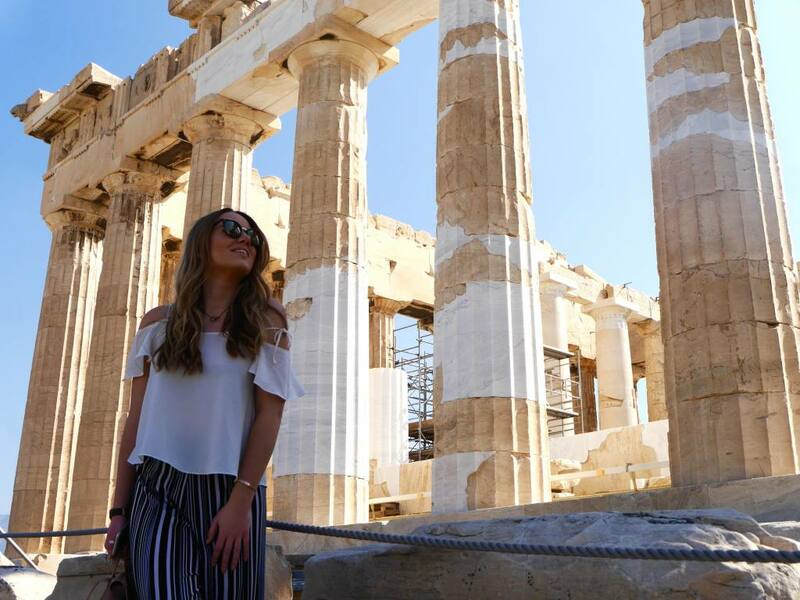 The most iconic part of The Acropolis is The Parthenon, which was originally a temple built as a place to worship Athen’s ruler, the Goddess Athena. Dating all the way back to 447 BC, the history of this place is mind-bending. 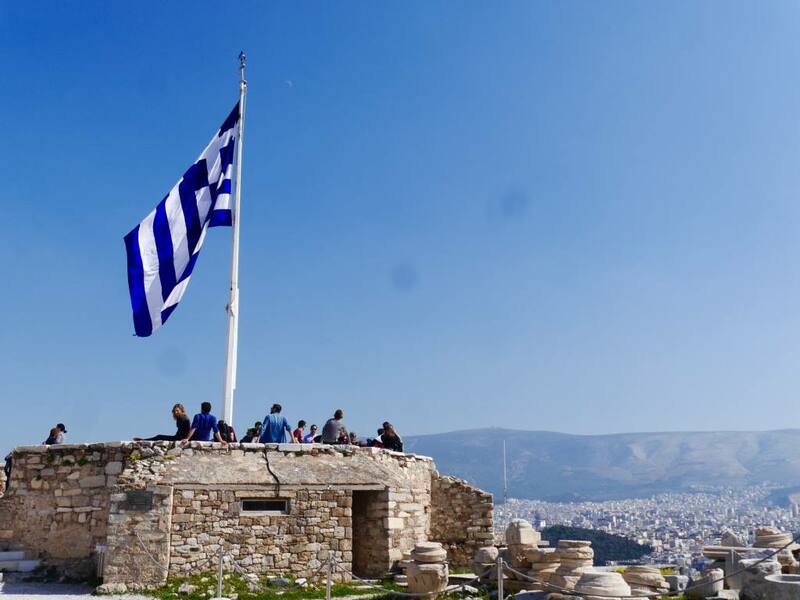 But even if you’re not that into the facts, it’s worth coming up here for the breath-taking 360 degree views of Athens. This has to be one of the biggest reasons to visit Athens. 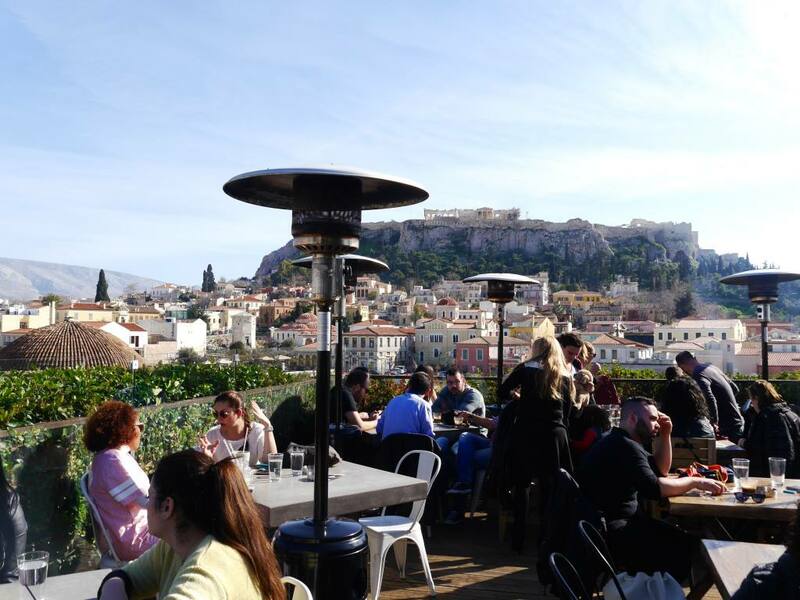 What isn’t immediately apparent about Athens is its incredible rooftop bar scene. They’re scattered around the city, each one providing a different perspective of the spectacular Acropolis. Visit by day to soak up the sunshine or arrive at night to listen to DJs and see The Acropolis lit up in all its glory. Often hidden away, the rooftop bars of Athens make up a secret social scene that only the locals and savvy travellers know about. 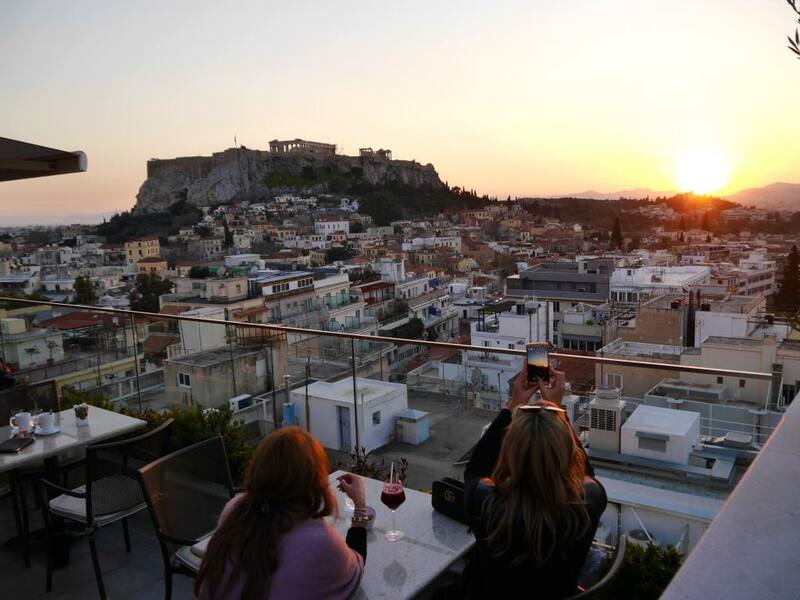 A visit to some rooftop bars is a must on any city break to Athens. I’ve always thought that the Greeks are very friendly as a nation of people, but I didn’t know if this friendliness would transcend into its bustling capital city. But the locals in Athens seem just as friendly, chatty and just as willing to help as those in the sleepy Greek islands. 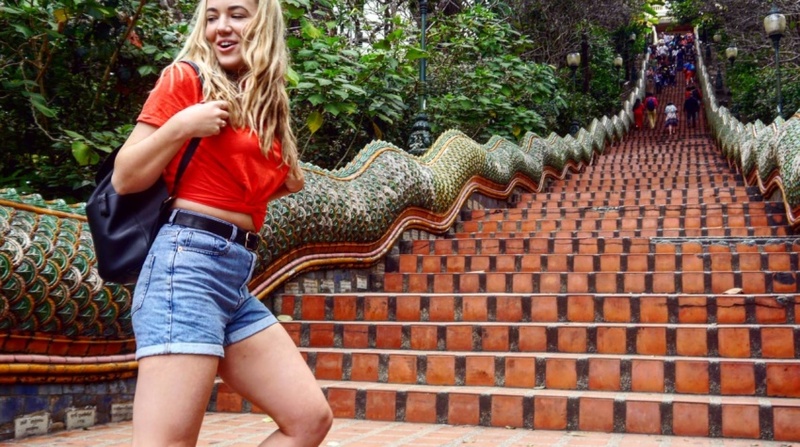 No European city break would be complete without a stroll through a charming Old Town, right? 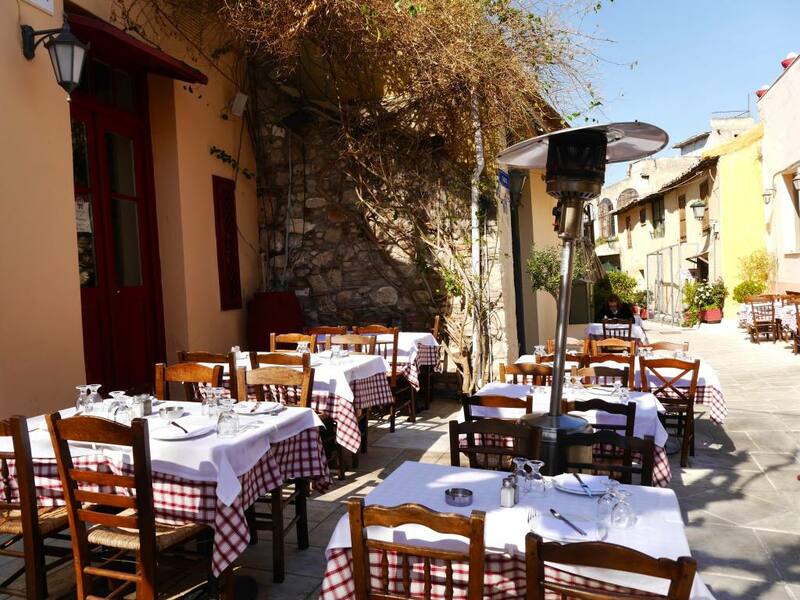 Plaka is Athen’s Old Town and easily the most picturesque neighbourhood. Imagine cobbled streets, historical architecture, sun-drenched piazzas and restaurants with white and blue table-cloths. 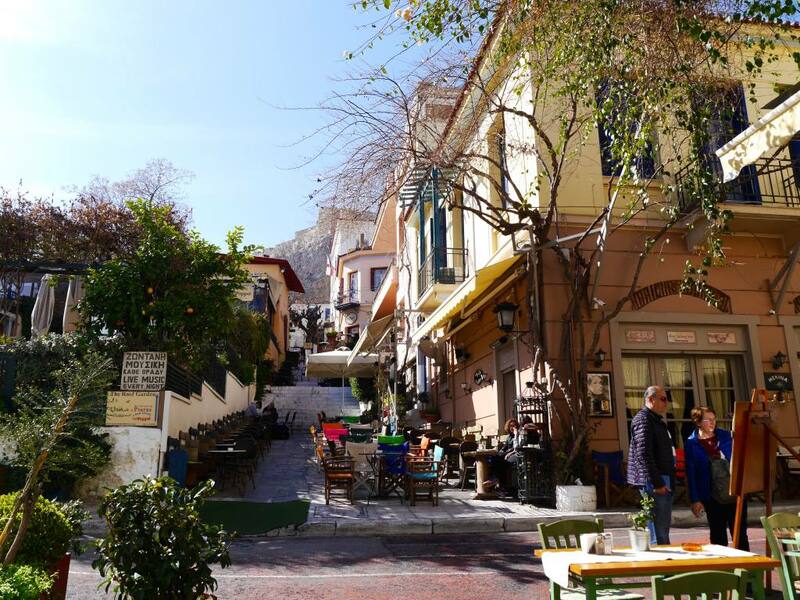 Andrianou is the main shopping street in Plaka and is lined with boutique stalls and souvenir shops. Venture to the end of this street and you’ll find a strip of great restaurants too. 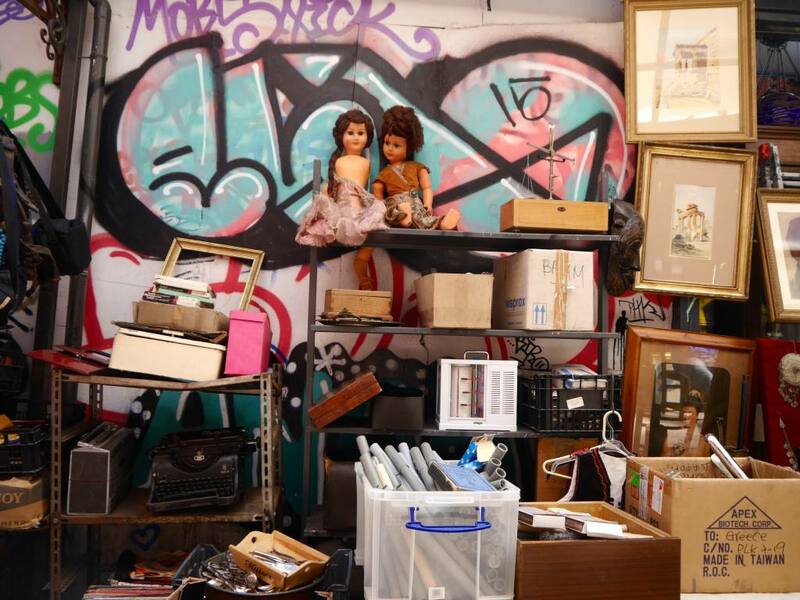 The flea market is one of the best reasons to visit Athens for anyone that loves anything on the quirky side. The weird and wonderful selection of objects are as random as they come, many of which are vintage and antiques. 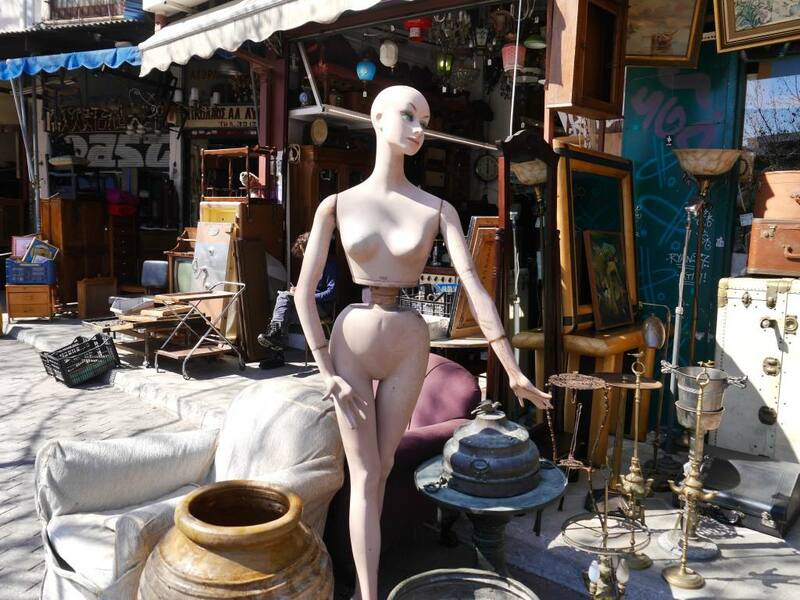 If you want to pick up a Greek souvenir that is truly unique, the flea market is where to come. The Greek food alone is reason enough to plan a city break to Athens. You’ll be feasting on fresh Greek salads, succulent Souvlakis, fresh calamari, grilled meats, tszaziki, mousakka and more. 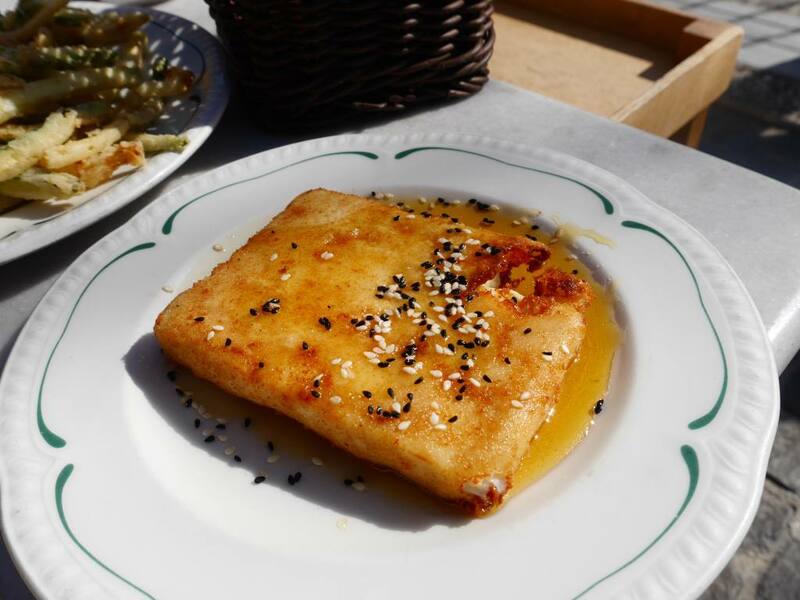 The list of mouth-watering Greek dishes is endless and the quality of produce in Athens is high. There’s also something in the air that make tomatoes in Greece 10 times more delicious and flavoursome than anything in the UK. The Greeks take their coffee seriously and coffee culture is a part of the way of life in Athens. Instead of a beer, friends meet up for coffee and can spend hours in one of the many artisan coffee shops. It’s a pleasure to be enjoyed slowly. 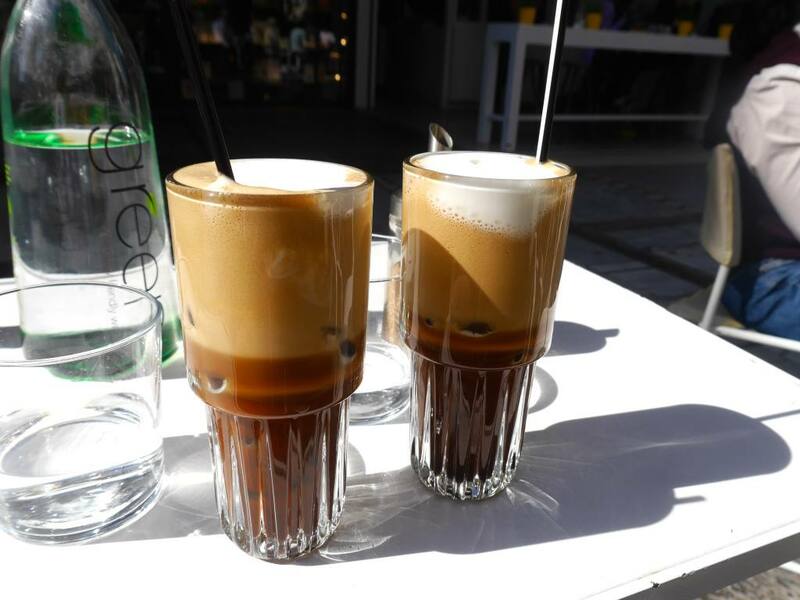 No trip to Athens is complete without ordering the Freddo Cappucinno, an iced coffee with sweetened milk and foam on top. Heaven! Top Tip: Locals live in Anafiotika and the increase in visiting tourists has caused an issue with noise pollution. 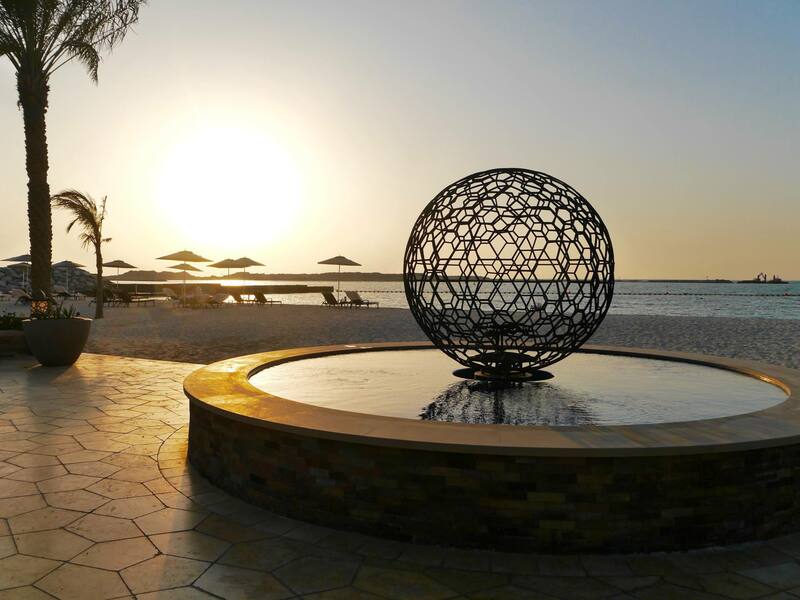 Be a mindful traveller and try to keep the noise down as you explore this beautiful village. 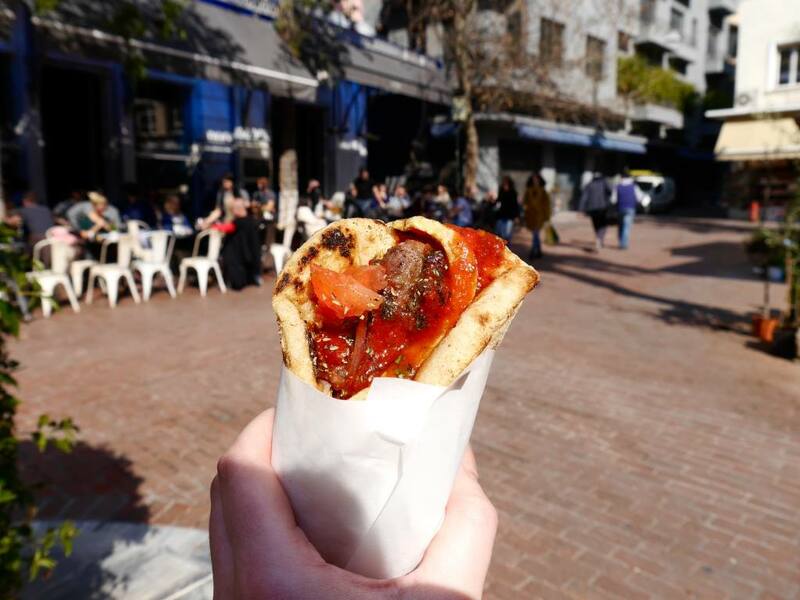 The Souvlaki shops in Athens need no introduction. They’re Greece’s answer to a kebab, but far more tasty and fresh. Succulent grilled meat is served up with salad in a warm toasted pitta. Perfect for on the go, incredibly cheap (about 3 euros) and utterly delicious. The shops stay open late so if you’re need of a late night snack this is where to go. 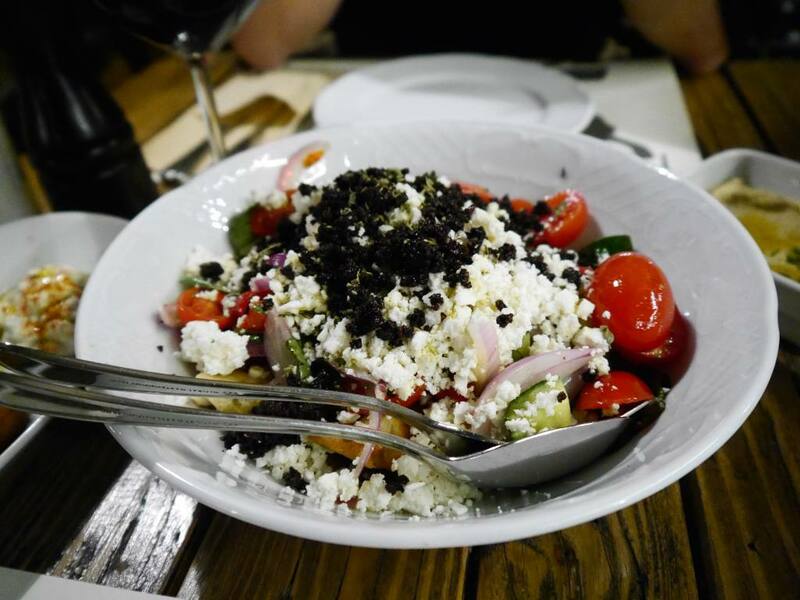 I could write a separate blog post about all the foodie reasons to visit Athens too! Inside Athens’ many piazzas and squares you’ll find an endless choice of al-fresco cafes and restaurants. 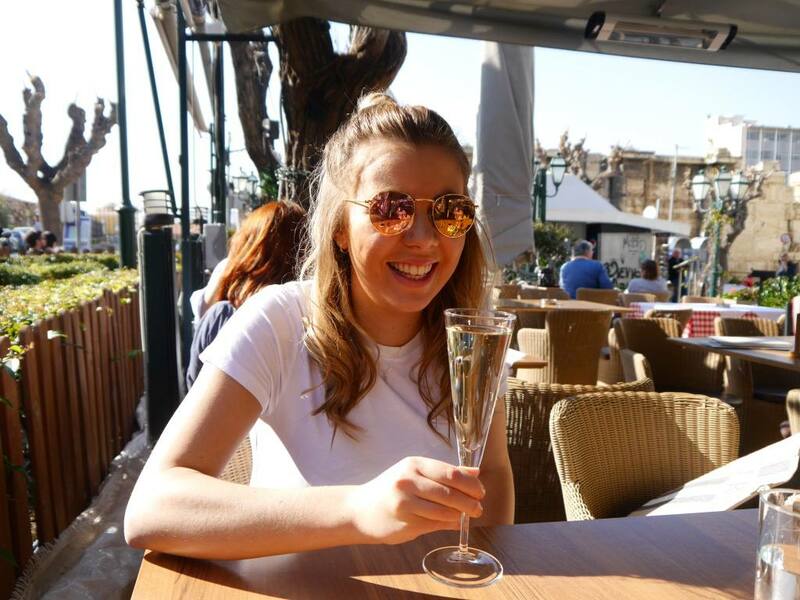 Outdoor living is the way of life in Athens and you’ll never be short of places to stop for a drink on a city break in Athens. Athens is one of the oldest cities on earth. It’s where ancient civilisation began and where democracy was born. 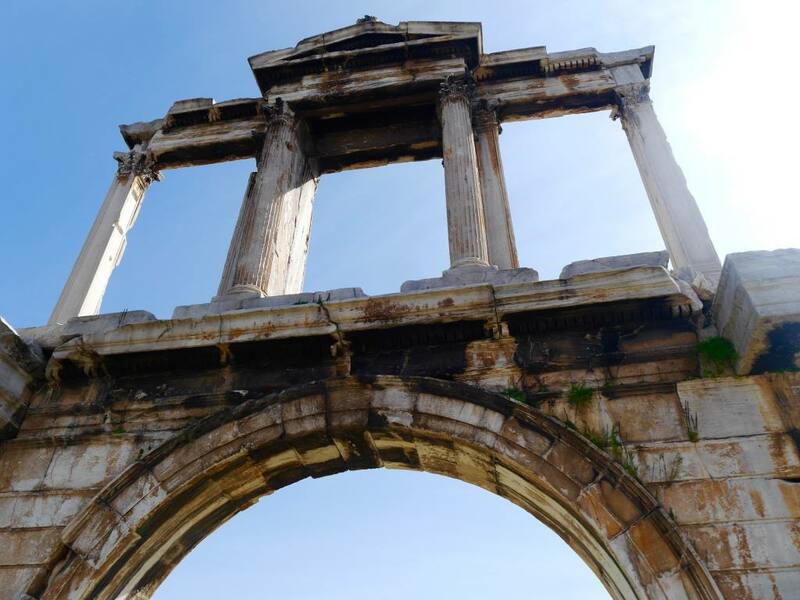 It’s the home of the Greek gods and goddesses you learned about in school and every monument and ruin plays a part in the city’s fascinating history. If Athens can’t capture your historical imagination, nowhere can. 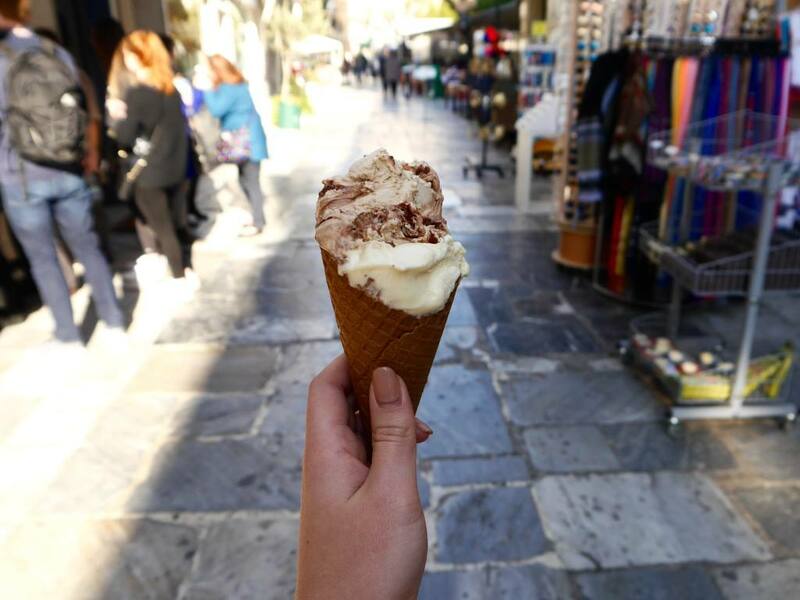 Although gelato may be synonymous to Italy, the Greeks do a pretty good job of it too. Head to Plaka for the best choice of Gelato shops where you can choose from an incredibly creative selection of gelato flavours. 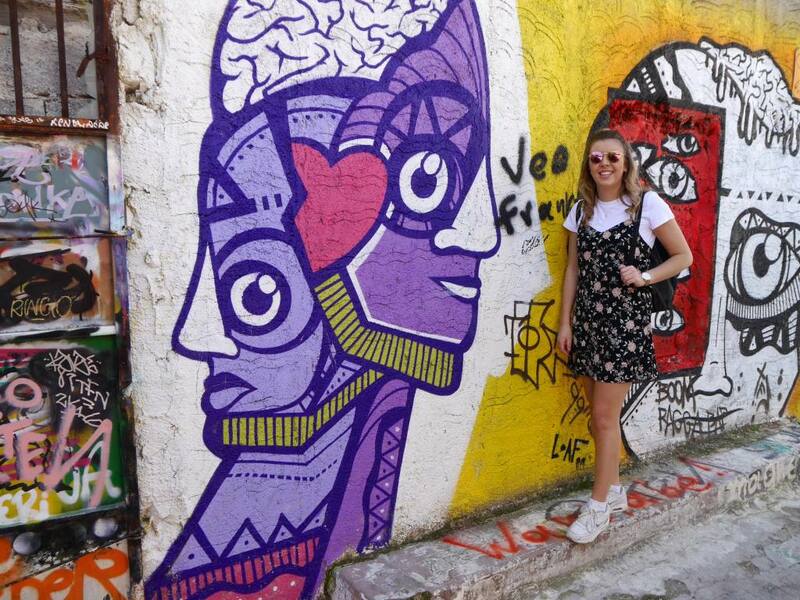 Athens is best explored on foot, so pack your comfiest shoes and book yourself on to a walking tour. My sister and I did a bespoke walking tour with Athens Insiders and it was without doubt a highlight of the trip. All of their tours are tailor-made to you so they’ll theme their tour around your interests e.g. history, gastronomy or fashion. 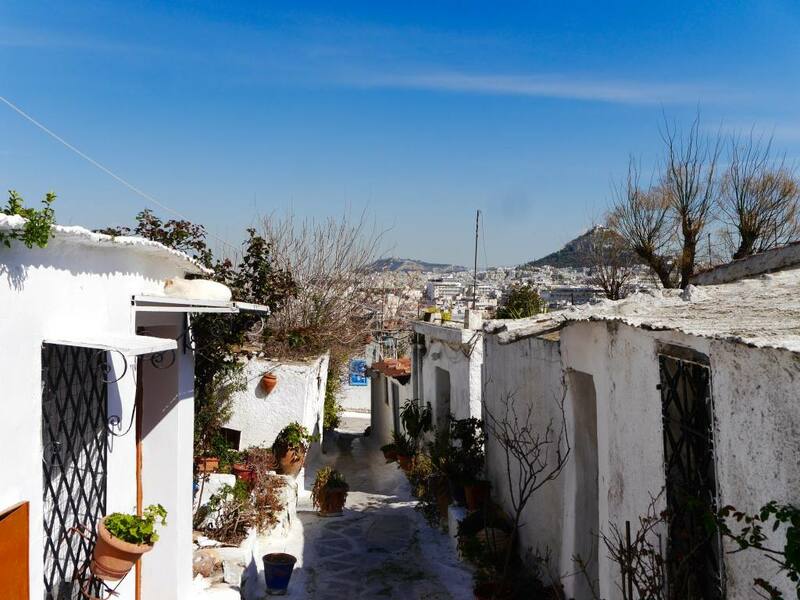 Our local guide showed us all of the hidden gems of Athens including Anafiotika, which we wouldn’t have found on our own. It’s not particularly cool or unique, but an open bus tour of Athens is so much fun! 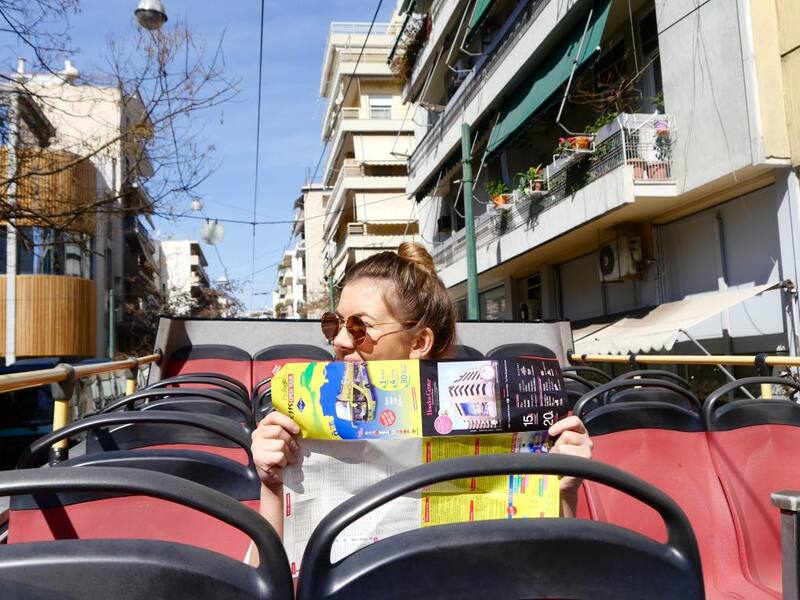 If your feet start to tire from all the walking, an open top bus tour is the perfect way to spend the final day of your city break in Athens. This is what my sister and I did and we got to see some extra sights including the Panathenaic Stadium. If you’re a culture vulture, then Athens is a dream destination for you. 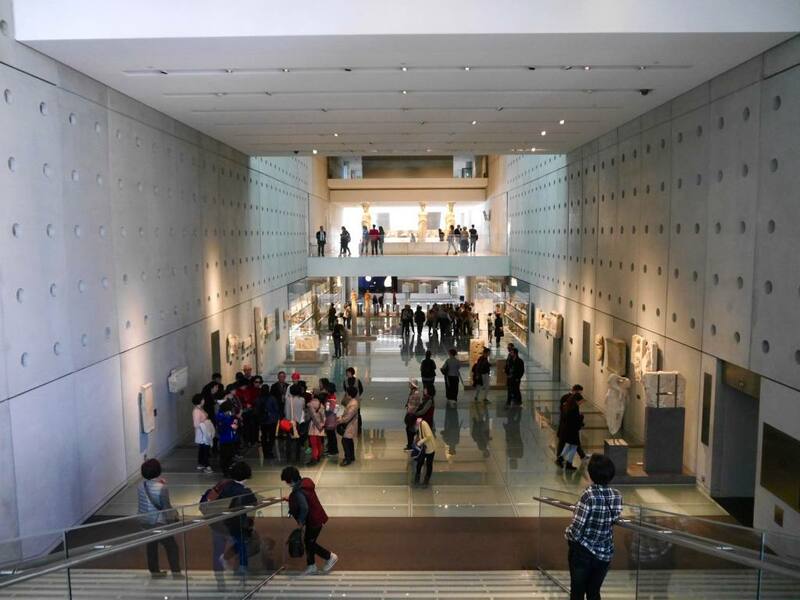 There are so many museums it would be impossible to get around them all in just one trip. 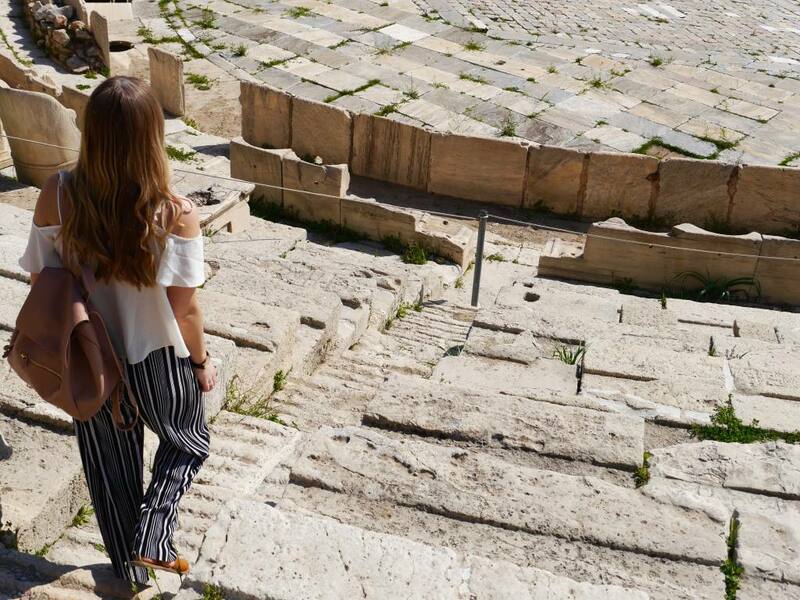 Make sure that The Acropolis Museum, The Museum of Gastronomy, The Museum of Cycladic Art and The National Archaeology Museum are all high on your list. But really, it’s all down to personal interest. 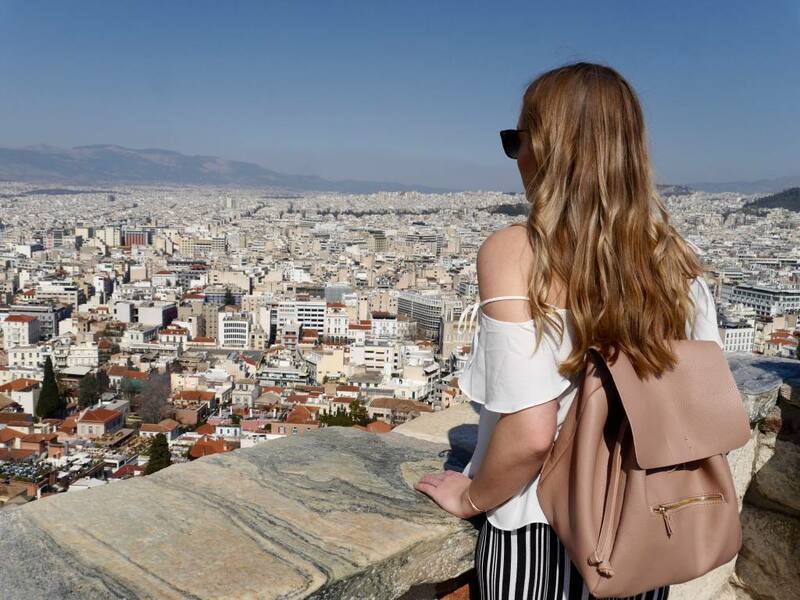 From the ancient history to trendy rooftop bars and coffee culture, Athens is a thriving city that has all the right attributes for a dream city break. I can’t believe it took me so long to discover this vibrant, friendly and culture-filled city. I’m so glad I found it, and I would return in a heartbeat. Want to read more on Athens? 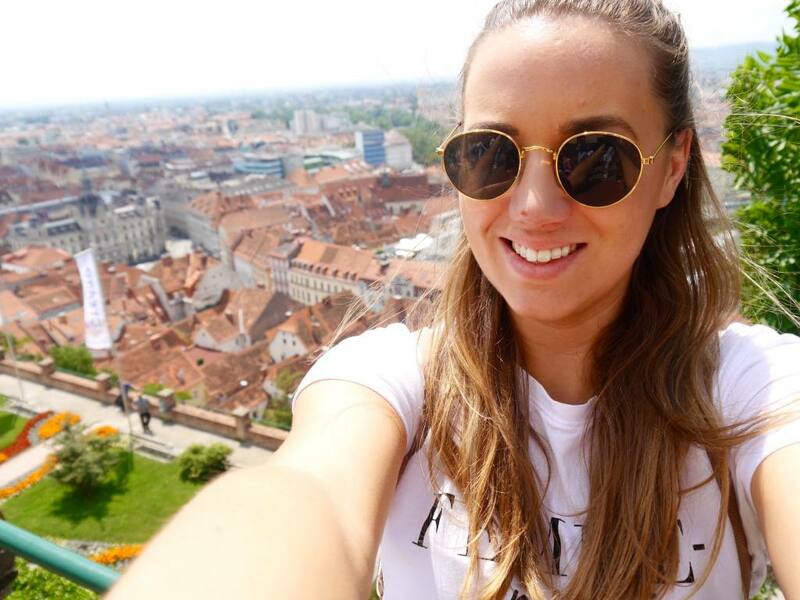 Look out for my Athens City Guide. Check out Aegean Airline’s low fare finder for their lowest available air fares to Athens. Disclaimer: My trip to Greece was provided complimentary on behalf of Discover Greece. All views are my own. I am so jealous right now! All my friends fly back home (Greece) for Easter while I am stuck in bloody Aberdeen with my PhD. 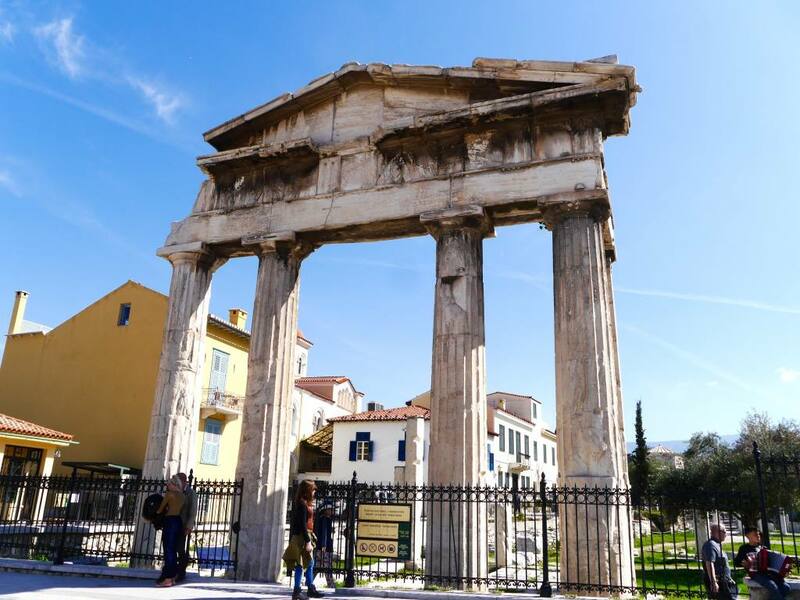 Thank you so much for sharing this and for mentioning a few of the best things about Athens! 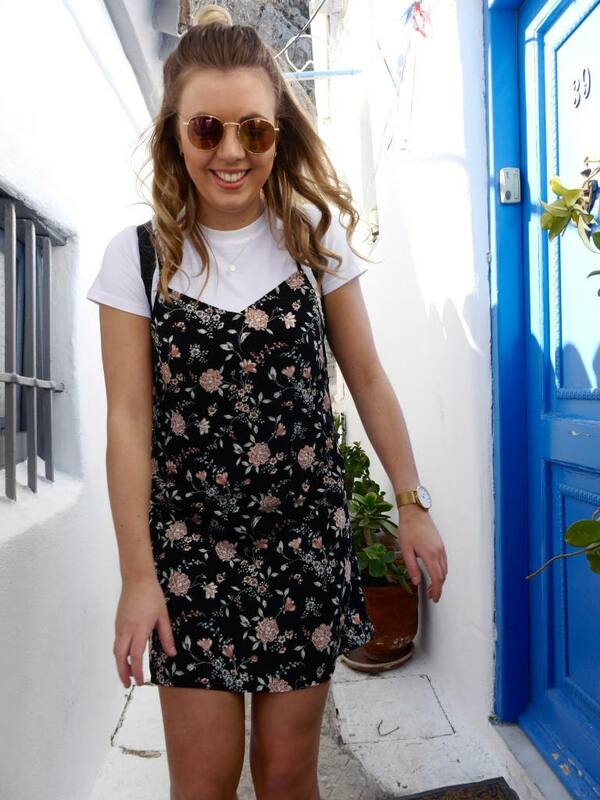 I definitely think more about Mykonos and Santorini when it comes to visiting Greece but this post has me keen to get on the plane to Athens!